Picture Credit: Factory Plaza. 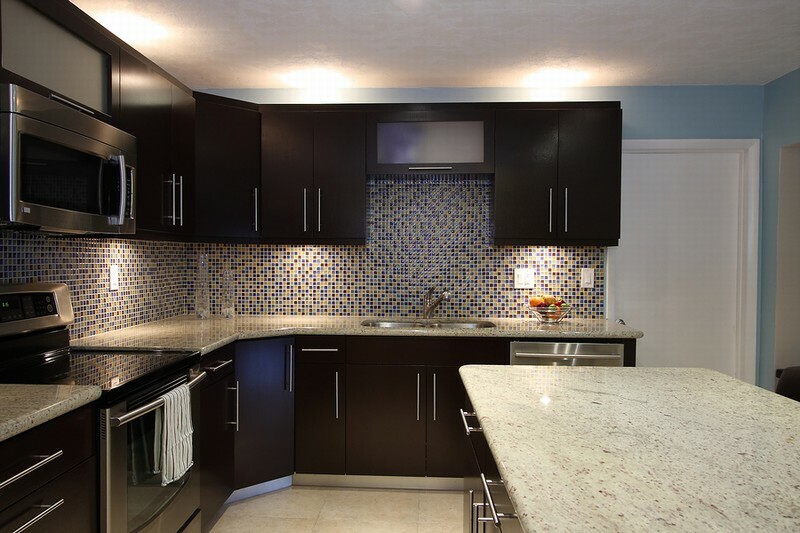 Dark Mahagony cabinets and natural color subway ceramic tiles with alluring lady. 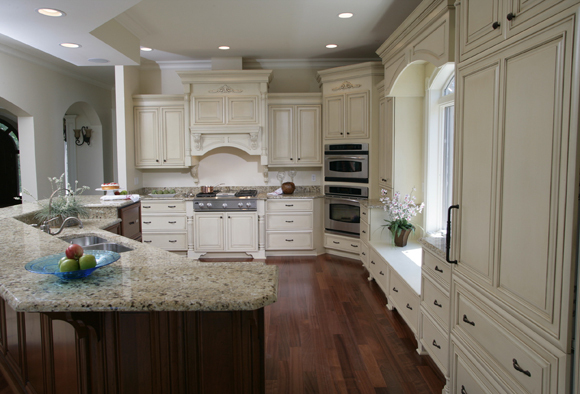 Colonial White Granite is such an alluring replacement of Kashmir White Granite. Since Kashmir White quarries had been closed by Indian Government, homeowners are using some alternative stones in their kitchen remodeling and , bath and interior or so. I can say that Colonial White Granite is the new Kashmir White until the quarries re-open. Colonial White Granite is a prestigious and elegant Indian Lady. Her value comes from being the fifth layer of Colonial Gold Granite quarries under the earth. She has bonds with her other relatives of Andromeda, New Colonial White and River White. She can easily be differentiated from River White Granite by having, greenish golden specs without a constant flow. Colonial White has very soft brown, beige, and very sweet yellowish green specs on the off white base. Sometimes she carries some blackish brown specs too. Remember, none of the granite is alike like our eye retinas or fingerprints. When she is stained, all these lovely colors pop up in your kitchen. The rule of light color granites for sealing is still valid for her. She needs to be sealed yearly to show her immortal beauty. Colonial White is such an easygoing stone to work with her. The backsplash could be herself or light color mosaic or subway tiles. Backsplash material could be glass, travertine, marble or ceramic. 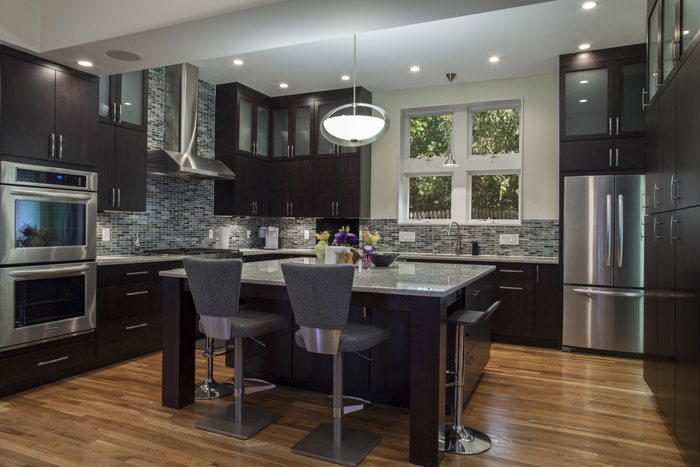 Coordinated colors of cabinets are usually white tones, dark browns, and dark coffee tones. She is such a gem in a small kitchen and kitchens without direct sunlight. Please review the meticulously selected pictures for you. In your kitchen remodeling process white cabinets backsplash ideas and dark cabinets backsplash ideas would be helpful. Picture Credit:Hbahcco . 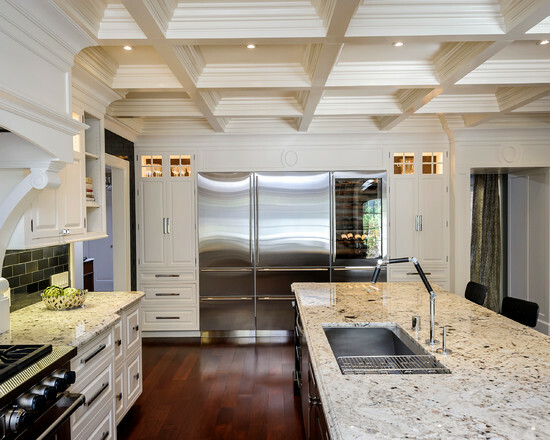 White cabinets and white dropped in coffered ceiling, dark color island and flooring completed the look. Picture Credit: Hallman. Off White Cabinets and Walnut Kitchen Island touch finely to the alluring replacement. Picture Credit:Cabinet Cottage. The good enough contrast between dark chocolate cabinets and colonial white countertops. Mosaic tile is a plus . Please speak your mind, and please add your valuable comments. 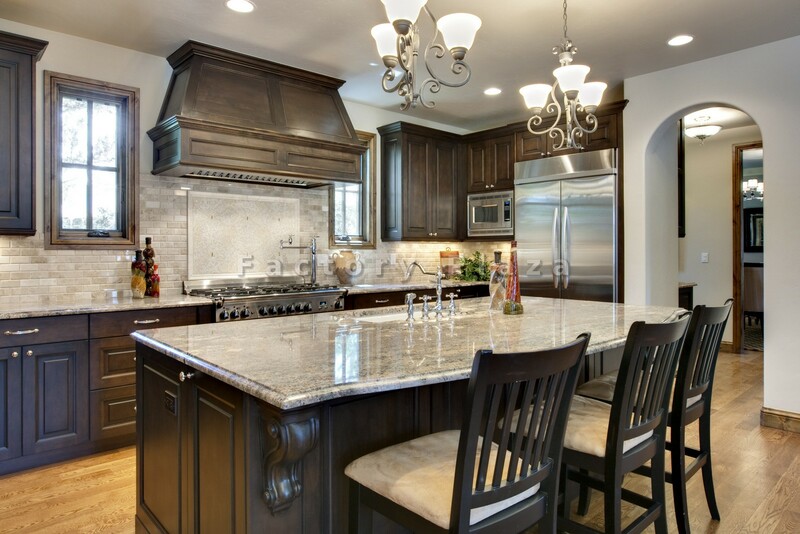 If you need more information about granite material, I may suggest you to check the Granite Countertop : Kitchen Countertop Materials article of mine.